Minn Kota Digital Battery Meter LCD displays voltage level of any 12V battery. 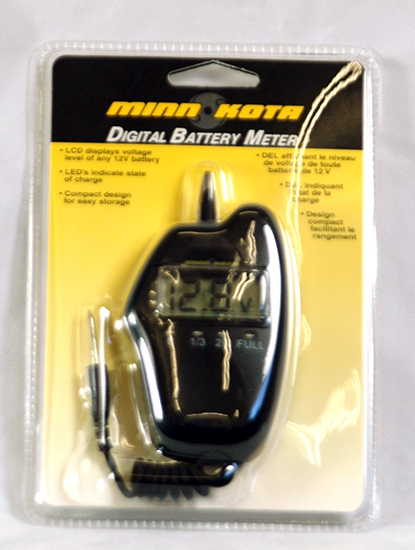 A simple, yet effective tester, the LED's indicate state of charge. Simply touch probes to negative and positive ternimals. NOTE: DO NOT test batteries when under load or charging.